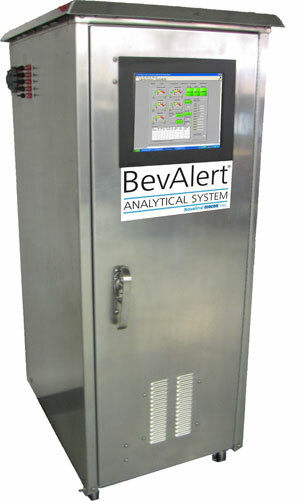 The BevAlert Analytical System is designed to exceed the analytical requirements of the International Society of Beverage Technologists (ISBT) guidelines for the detection of impurities in beverage grade carbon dioxide such as acetaldehyde, methanol, benzene, total sulfur, total hydrocarbons, and many others upon request. The fully automated computer controlled system includes an intuitive touchscreen for set-up, control, and data display. Real-time, historical, and diagnostic data is all viewable and can be connected to built-in audible and visual alarms or tied to a plant’s PLC. Remote access via an Ethernet connection allows a user the ability to monitor the systems concentration data and diagnostics from any location with an internet connection. Multipoint sampling and trailer sample panels are also available. Baseline-MOCON’s industry leading photoionization detector was chosen for this application due to its reliability, low detection limits, and minimal baseline noise while total hydrocarbons are measured with a flame ionization detector. Other Baseline applications use analyzers that employ several principles of gas analysis and detection technology, including continuous monitors and gas chromatography, thermal conductivity, and pulsed discharge detectors. For more information, visit www.baseline-mocon.com.